Rb Leipzig forward Timo Werner thinks Naby Keita can become world-class at Liverpool, something he was unable to do at the Bundesliga club. The pair enjoyed two terrific years in Germany, but that’s now over as the Guinean midfielder is joining Liverpool officially on July 1. 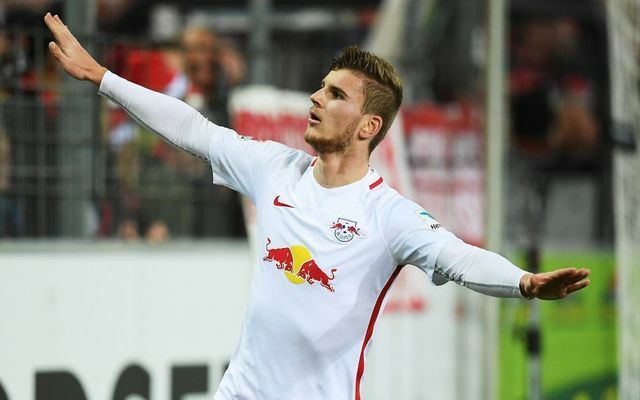 There were suggestions Werner was a target for Jurgen Klopp as well, but these have been denied. However, the 23-year-old striker will start for Germany at the World Cup and if he does well, could be set for a summer switch himself. Werner reckons Keita’s on the right path though and has hinted he’ll make a similar move at some point, too. “To become world-class you have to play in the big teams and then play big games like the final or semi-final of the Champions League,” he told Die Welt. “World class… I’m not yet a world class striker. For me (Robert) Lewandowski, Luis Suarez and Antoine Griezmann are. “To become a world class player, I probably have to play on a club level in an even better team. “Naby Keita has not become world class with us either, maybe now he’ll be at Liverpool. Liverpool have Roberto Firmino up top and in truth, don’t need another elite forward to replace him. The Brazilian got 27 goals in 2017/18 and epitomises Klopp’s style of football – both offensively and defensively. Mo Salah can also play centrally, so as long as we get another inside-forward, we’ll be in a strong position.